With love on the mind this month of February, it is the perfect time to practice self-care and self-love and take care of our bodies! Especially, it is time to show the muscle that works so hard to provide our bodies with oxygen and nutrients, and carry away waste – our HEART, with some much needed love. Why is doing cardio important? While traditional cardio workouts may not be new, flashy exercise programs, they are still very important and should not be overlooked. A U.S. News article, “Should You Even Bother With Cardio?” explains why. According to the article, “During cardiovascular workouts like running, cycling or swimming, your heart and lungs have to work faster and harder than they do during strength sessions.” In turn, that means that your heart and lungs are becoming stronger. Furthermore, “By increasing your muscles’ capillary as well mitochondrial density, cardio workouts enhance your body’s ability to fuel your muscles with more energy and achieve better workout performance.” Increased energy and workout performance – sign me up! Your heart doesn’t stop helping there. After workouts, your heart works to replenish your body by delivering oxygen, “amino acids and other nutrients to your muscles to help them spring back stronger.” Improving your body’s resilience is an added perk. Cardio doesn’t have to be complicated – keep it simple. Try out some of these easy cardio exercises below! Verywell fit’s article “9 Best Home Cardio Exercises” shares great cardio exercises that you can do at home. Most are simple and easy to do – like jumping jacks, jumping ropes, and climbing the stairs! The great news is – you can do all of those types of workouts at CBRC! If you are working towards your weight loss goals, connect with the personal trainers at CBRC for support and guidance. You may also want to check out our Balanced Habits Life program, Nutrition program, and Body Composition Testing. 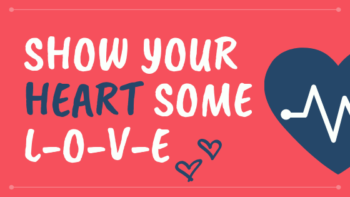 No matter what your fitness goals are, if you are exercising at home, or at CBRC, your heart will thank you for showing it some love this month!